We were recommended this place for lunch by one of the locals and we were not disappointed. 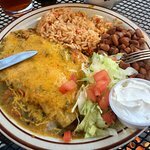 They had a tamale plate special that day and it was delicious with the red & green chile sauce! 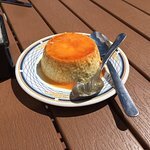 We got the flan to go for dessert and that was excellent too! 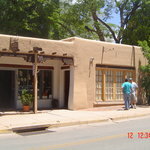 If we return to Santa Fe, we'll eat there again. 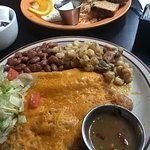 Needed a quick lunch bite and someone recommended Palacio... 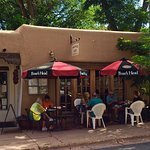 I have to say, we ate at some of the most highly rated restaurants for dinner while in Santa Fe, but my afternoon meal here was among the top two! 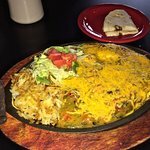 Small, quaint, excellent local service, and the best green chili stew ever! My wife and I ducked in here for coffee in a morning snowstorm. Local coffee shop atmosphere, friendly service, and excellent cappuccino. Laid back pace with no pressure. 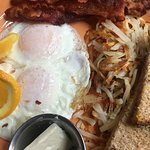 Fantastic Food with great service! 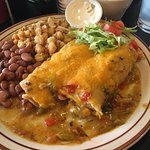 A great spot close to La Posada Resort for a fantastic breakfast. The service was so personal and the food was amazing. We never eat at the same place twice when travelling but this place was worth it! 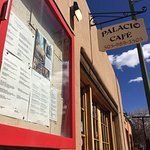 Been to Palacio Cafe? Share your experiences!